On January 1st, most people set out to accomplish a goal. They are so determined to make this the year that they lose weight, save money, read more books, spend more time with family, etc. So why does the following December 31st roll around and most people haven’t accomplished their resolutions? It is for lack of determination? Will power? Commitment? 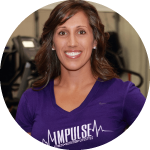 While working with hundreds of different types of people at Impulse Training, we’ve found that those who do succeed with their resolutions do one thing that others forget to do. It is the single most important exercise you can do, because without it, you are setting yourself up for failure. Imagine you have a jar which represents your time. 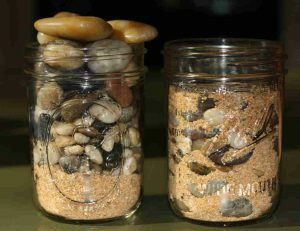 Now pretend you filled that jar with rocks (priorities), marbles (goals), and sand (leisure time). Most of us fill our jar first with priorities (rocks) like work, kids events, personal hygiene, eating, etc. 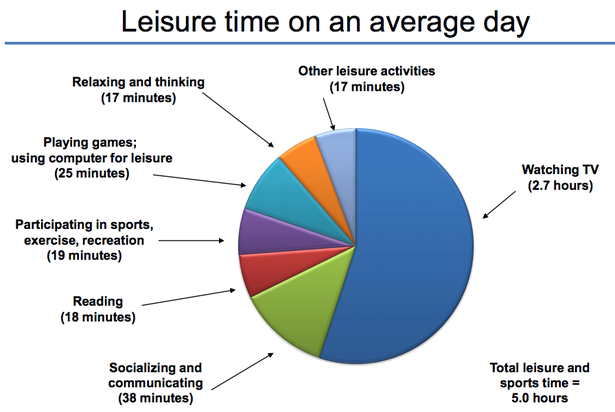 Then we add in leisure time (sand), which may consist of social media, TV, social events, etc. The problem comes when you try to add in those things required to meet your goals (marbles), and your life becomes a precarious balancing act. Eventually, an event or emotional day tips the jar just enough that the marbles/goals fall to the wayside, leaving you to go on just as you had the previous year. In order to ensure the success of our clients at Impulse, we have developed a 5 step approach to achieving any goal. This requires putting your priorities (rocks) in your life (jar) first. Then adding in only 1-2 goals (marbles) because more than 2 goals will become overwhelming and decrease your chances of success by 75%, according to research. Finally, you can add in your leisure time (sand) activities. If your sand overflows, you know there are some things you will need to cut out! TIME AUDIT Facing the fact that you may be spending too much time in the wrong area is essential, but you won’t know for sure until you check. So for 2 days (one normal week day and one normal weekend day), write down everything you do along with the time that you started and stopped the task. If you are incredibly motivated to take back your time, try and do this for an entire week. TIP: I tracked everything on my cell phone in the notes section to make it more convenient, and then at the end of the week I copied and pasted it to a word document and printed it out. PURGE After you’ve figured out exactly how and where you are spending your time, it is essential to “cut the fat”. All the activities scheduled in green need to be placed into your schedule. (I use a simple excel spreadsheet which you can DOWNLOAD BELOW. Then, place the blue and yellow highlighted items in your schedule. If you still have space and you want to add in the orange items, you have to fill it in where you are able. Now make copies of this schedule and post it in your office, car, home, and planner so you can abide by it as much as possible! CREATE A GAME PLAN THAT IS REALISTIC Start by figuring out exactly what you really want. For our clients at Impulse, I recently did a goal setting workshop where I had them write how they want to feel. Then I asked them, “what must happen for you to feel that way?” This allowed them to figure out what they really wanted to achieve, and that emotional connection is what will keep them motivated through the hard times. Taking those couple extra minutes you’ve gained by eliminating those time wasters, set a goal that is realistic for that time frame. For example, if you wanted to start a workout program and you eliminated 30 minutes of television, then you can add 30 minutes of exercise in! MONTHLY OR WEEKLY POWER HOUR Take 1 hour each week and break it into 20 minute sections. The first section is planning your personal week to make sure you accomplish your priorities and goals. (green and yellow). The second 20 minutes can be spent organizing your work or family’s schedule for the week as well as implementing your blue time. The final 20 minutes should be something that inspires you to keep pushing towards your dreams! REVIEW YOUR GOAL DAILY While this step is absolutely essential, this is where most people fail because it is a daily thing and easy to skip. Reviewing your goal will keep it at the top of your mind. Will you be perfect all the time? Probably not, but you will be more successful if you are constantly reminded of what your goal is, why you want to achieve it, and the feeling you will have from accomplishing that goal! If you are the kind of person that feels like you never have enough time, check out the incredible statistics on how “stuff” can rob you of your free time.